Swarovski Scope Objective Lens Protector. Perfect protection for objective lenses on rifle scopes. The scope lens protector excellently guards objective lenses against all weather conditions. The aluminum protector can be rotated through 360° and opened in any direction, making it ideal for both right-handed and left-handed shooting. A class accessory for a class scope. 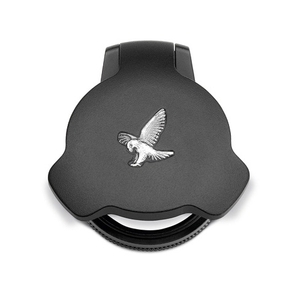 These flip scope covers are nice, well built and sturdy items - as they should be when it costs &pound;120 to equip your scope with ocular and objective lens covers. The only niggle I have with them is that the catch takes considerable force to release and that also makes them a bit noisy in operation.